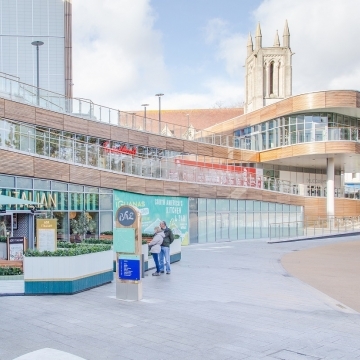 Bh2 is Bournemouth’s new leisure complex featuring restaurants, shops, a 10-screen Odeon cinema and parking for 175 cars. 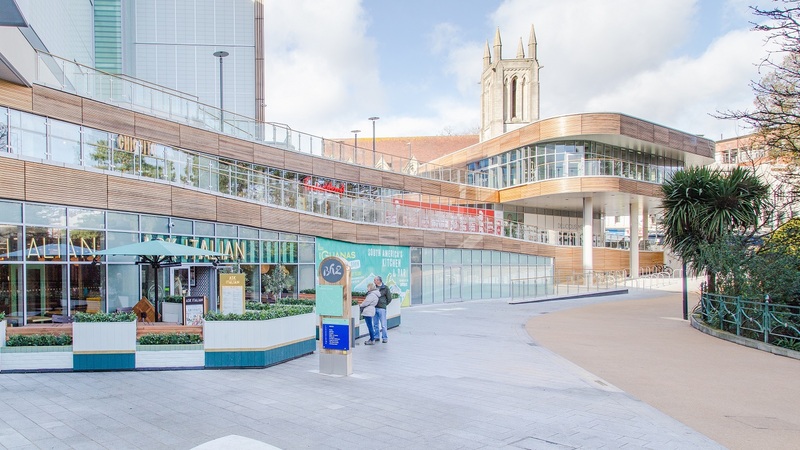 The £50m redevelopment project took place on the site of the old bus station and NCP car park breathing new life into Bournemouth centre. CP Electronics were asked to work with the main Building Services Contractor, Accolade Building Services, for this challenging building design. “We recommended our RAPID fully addressable lighting control system because it was the best fit for the building and its demanding and varied control specification without being costly or complex to use. “To cover the main public and back-of-house areas we supplied microwave presence detectors designed specifically for open areas and corridors. They detect the slightest movement in the detection zone and activate the lighting accordingly, preventing energy wastage. “The presence detectors are connected to the RAPID relay modules which connect to a head end PC. This enables building managers to switch individual groups of luminaires on and off, as required, saving energy and time. “It was important that we could meet the demands of the building’s complex design and help to create a modern and vibrant space that would attract visitors to the area and the leisure complex.